Home Cat Health Collection Nutritional Support For Sick Cats-What Is Nutritional Support? Loss of appetite in a sick cat is a common manifestation and when this occurs, in many cases, it is necessary to provide nutritional support until the cat’s appetite has returned. 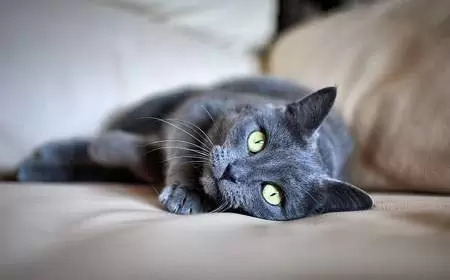 Nutritional support must be considered in a cat who is anorexic or has not consumed enough calories over the previous three days, is displaying signs of malnutrition and has lost 10% body weight. There are a number of serious consequences to lack of nutritional intake in cats. Energy from nutrients is needed by every cell in the cat’s body and when adequate nutrition available, all body systems can be affected. 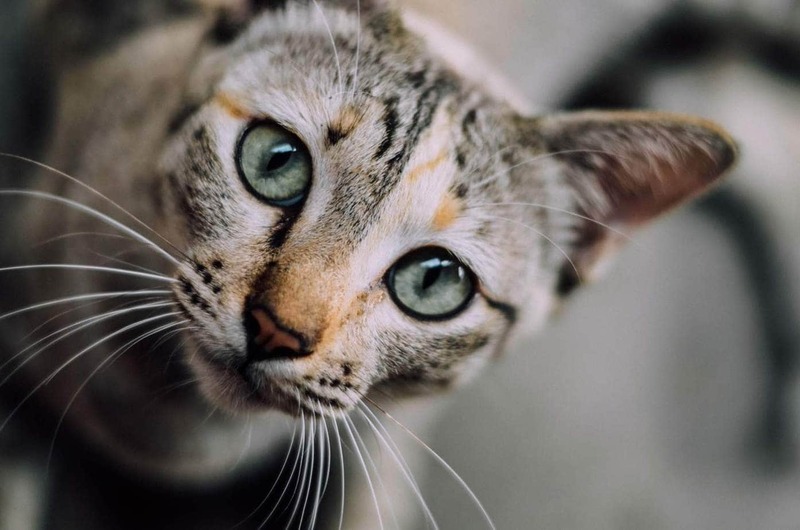 A cat who is not eating is at risk of developing hepatic lipidosis, a life-threatening condition in which the body starts to use fat (triglycerides) as fuel, which is sent to the liver to be processed into lipoproteins. The cat’s liver is not very good at processing fat and it begins to accumulate in the liver cells (hepatocytes), which overwhelms and interferes with its ability to function properly. Delayed gastric emptying and prolonged gut transit and a loss of gastrointestinal surface area cause diarrhea and vomiting. It becomes easier for bacteria to cross into the cat’s bloodstream causing septicemia. Cachexia is the use of muscle tissue which is used to fuel the body in the absence of adequate nutrition. Muscle loss is most noticeable on the hind legs. Kidney failure occurs due to a decrease in blood flow to the kidneys, as kidney function drops, toxic waste products which would ordinarily be filtered into the urine via the kidneys begin to build up. Increased metabolic rate due to a breakdown of the body’s proteins and fats to use as energy. Anemia (low red blood cells), leukopenia (low white blood cells) and thrombocytopenia (low blood platelets). Decreased immunocompetence means that cats are at greater risk of infection. The veterinarian will determine the type of treatment necessary based on the cat’s interest and ability to eat, and if the gastrointestinal tract is functional or not. If the cat is able to eat on its own, the first method is to try and coax the cat to eat. This can include offering small amounts of highly palatable warmed up food, hand or syringe feeding, and special diets such as Hills a/d. If these methods don’t work, the veterinarian can prescribe appetite stimulants such as Mirtazapine, Cyproheptadine or Diazepam. High calorie canned food is blended with a small amount of water placed into the feeding tube to provide your cat adequate nourishment until his appetite returns. Depending on the type of tube, a cat with a feeding tube may be treated in-house, or once the tube is inserted, may be treated at home. The meal will consist of a liquid or slurry which is placed into a syringe and inserted into the tube. Food is warmed to room temperature before administration. After the meal, the tube is flushed out. A thin rubber or silicone tube is inserted through the cat’s nostril, down the back of the throat and into the esophagus. Local anesthesia is used when placing a nasoesophegal tube to prevent discomfort during insertion and in some cats, mild sedation may be necessary. The tube is stitched or glued in place to prevent the cat from dislodging it. Due to the slim diameter of this tube, a liquid diet is necessary in order to pass through the tube. This method can be used in hospitalised cats whose gastrointestinal tract is functioning who are expected to be eating on their own within 5-7 days. Long term requirement for feeding tube, severe facial trauma, vomiting or esophageal abnormalities. The e-tube can be used to provide nutritional support for cats at home. The cat is able to eat and drink without interference. Due to the larger diameter of the esophagostomy tube, a blended diet can be fed as well as oral medications. The e-tube is placed into the left side of the neck and directly into the esophagus under heavy sedation or general anesthesia. Long term nutritional support (weeks/months), and in cats whose gastrointestinal tract is functioning. Vomiting cats and esophageal abnormalities. A gastromy is the placement of a feeding tube through an incision in the abdomen and into the stomach which is performed under general anesthesia or an endoscopically guided technique (percutaneous endoscopic gastrostomy or PEG) in which an endoscope is inserted through the mouth and into the stomach, the veterinarian then makes a stab incision through the abdominal wall and pulls the tube into place. The cat will need to wear a protective stocking to prevent dislodging the tube. The wider diameter of this tube allows for a greater range in diet and blockages are uncommon. Long term nutritional support (weeks or months), can be used to provide nutritional support for cats at home for cats with oropharyngeal or esophageal disease. The jejunostomy bypasses the upper gastrointestinal tract (esophagus, stomach, and duodenum) and is placed under general anesthesia through the abdominal wall and into the small intestine. The use of a jejunostomy tube is generally restricted to hospitalised cats. Cats who are unable to tolerate gastric feeding who have normal jejunal, ileal, and colonic function. Small intestinal obstructions, cancer and severe pancreatitis. Parenteral nutrition is intravenous administration of nutrients, bypassing the usual process of eating and digestion. Normally food is broken down in the bowel and stomach and then absorbed in the bowel, which is then carried through the body via the blood. Parenteral nutrition provides a specialised nutrition solution to the body via a catheter. This kind of therapy is for hospitalised cats, and regular monitoring is necessary to identify and correct mineral and electrolyte imbalances. For cats who cannot tolerate tube feeding, cats at risk of pulmonary aspiration, severe pancreatitis, hepatic disease, a non-functional gastrointestinal tract or blocked gastrointestinal tract.